The Conservative Party of Canada’s nomination process has opened in the Electoral District of Burlington. Nominations close on Thursday, August 9th, 2018. Anybody who wishes to be a Nomination Contestant must submit their completed nomination application to Conservative Party Headquarters, 130 Albert Street, Suite 1720, Ottawa, Ontario, K1P 5G4, by 5 p.m. Eastern Time on Thursday, August 9th, 2018. 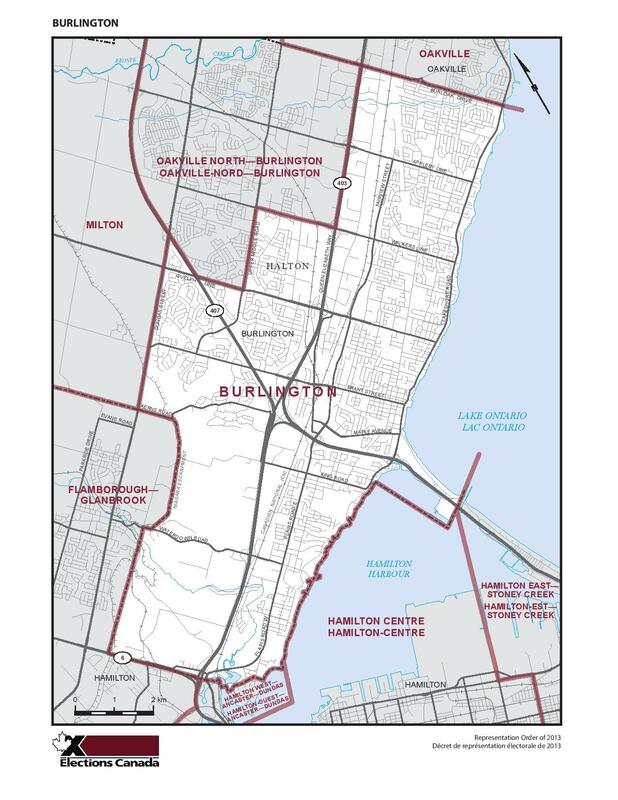 Anybody who wishes to be eligible to vote at the nomination meeting; the date, time and location of which will be announced at a later date; must be a member of the Conservative Party of Canada and residing in the Electoral District of Burlington as of Thursday, August 16th, 2018. New memberships must be received by Party Headquarters by 5 p.m. Eastern Time on Thursday, August 16th, 2018. Memberships can be purchased online until 11:59 p.m. Eastern Time on Thursday, August 16th, 2018.